Keep Up With Kefir's Many Health Benefits! When it comes to dairy, sour has some serious fire power. Long popular in Eastern Europe for its perceived health benefits, kefir is now gaining a foothold in more dairy aisles in North America. This nutrient powerhouse can support both your immune system and gym performance. This tangy and refreshing dairy product is created when milk is fermented by lactic acid bacteria and yeasts encased in what is known as "kefir grains." Cow, goat, soy, or coconut milk may be used, though cow's milk is most common. Kefir is most often sold as a thick drink with a consistency similar to buttermilk. Flavored versions are typically full of sugary calories that can negate some of the health benefits, so go for the plain version. You can pour it into a glass and drink it straight up, or use it in your post-gym protein shakes. It's also a great replacement for buttermilk in pancake or waffle batter. Each kefir grain contains a combination of dairy products, living bacteria, and yeasts. The fermentation methods used to cultivate kefir result in a significant boost in beneficial bacteria, even surpassing levels found in traditional yogurt. Also known as probiotics, these tiny critters provide innumerable health benefits. Aside from boasting more probiotics than traditional dairy, kefir is also much easier to digest. This perk is attributed to the robust population of bacteria feasting on and reducing levels of lactose, a natural sugar in dairy that can cause digestive distress in some people. This makes kefir an excellent choice of milk-based nutrients for people who are lactose-intolerant. What's more, kefir grains appear to work on naturally occurring proteins in milk and convert them into bioactive peptides. Several cell-culture and rodent-model studies have shown that these bioactive peptides may play a prominent role in supporting health. Larger population studies are needed in human subjects to further confirm potential benefits, but these two early indicators of benefits bode well. Hunger is the biggest challenge for anyone looking to drop a few pounds. If you're unable to overcome the frequent pangs, you're sure to stray off track. It turns out that consistent kefir intake may boost dietary adherence and fat-loss efforts. A study published in Nutrition Reviews found that dairy and yogurt have a major impact on the release of appetite-suppressing hormones. [3,4] Stable blood sugar after a meal promotes a stable appetite, whereas sharp fluctuations can lead to energy crashes and intense cravings. Additionally, there's evidence that kefir may help you chisel out a flaunt-worthy six-pack. A 2016 European Journal of Nutrition study found a dose-dependent relationship between the amount of dairy consumed per day (4 cups of either kefir or low-fat milk versus 2 cups of low-fat milk) and losses in body fat and abdominal fat. Subjects drinking 4 cups of low-fat dairy or kefir per day each experienced significant weight loss. As with milk, kefir contains a trifecta of items that can help fortify your skeleton: protein, calcium, and vitamin D. The latter is significant, considering that food sources of vitamin D are rare, and it's necessary for proper calcium absorption. Recent research suggests that kefir consumption can reduce bone turnover and improve bone mineral density in people suffering from a weak skeleton. Hertzler, S. R., & Clancy, S. M. (2003). Kefir improves lactose digestion and tolerance in adults with lactose maldigestion. Journal of the American Dietetic Association, 103(5), 582-587. Rafie, N., Hamedani, S. G., Ghiasvand, R., & Miraghajani, M. (2015). Kefir and Cancer: A Systematic Review of Literatures. Archives of Iranian Medicine (AIM), 18(12). Tremblay, A., Doyon, C., & Sanchez, M. (2015). Impact of yogurt on appetite control, energy balance, and body composition. Nutrition Reviews, 73(suppl 1), 23-27. Ostadrahimi, A., Taghizadeh, A., Mobasseri, M., Farrin, N., Payahoo, L., Gheshlaghi, Z. B., & Vahedjabbari, M. (2015). Effect of probiotic fermented milk (kefir) on glycemic control and lipid profile in type 2 diabetic patients: a randomized double-blind placebo-controlled clinical trial. Iranian Journal of Public Health, 44(2), 228. Fathi, Y., Faghih, S., Zibaeenezhad, M. J., & Tabatabaei, S. H. R. (2015). 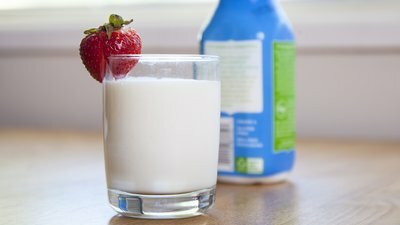 Kefir drink leads to a similar weight loss, compared with milk, in a dairy-rich non-energy-restricted diet in overweight or obese premenopausal women: a randomized controlled trial. European Journal of Nutrition, 55(1), 295-304. Tu, M. Y., Chen, H. L., Tung, Y. T., Kao, C. C., Hu, F. C., & Chen, C. M. (2015). Short-Term Effects of Kefir-Fermented Milk Consumption on Bone Mineral Density and Bone Metabolism in a Randomized Clinical Trial of Osteoporotic Patients. PloS One, 10(12), e0144231.